China isn’t the first place that comes to mind when you think of a “melting pot” country. However, in recent years, China has been making efforts to attain more foreign talent, and opening up possibilities to the rest of the world to come in in order to encourage more innovation. In 1978 when Deng Xiaoping announced the Open Door Policy to welcome foreign businesses, China began its economic transformation. These days, China is shifting towards foreign talent to nurture innovation and growth in businesses. In an effort to attract foreign talent, China has made policy changes such as “smart card” green cards to make it easier for foreigners to live in China and has developed more lenient work opportunities for foreign students. Students without work experience are now allowed to stay in China for jobs or internships after finishing their master’s degrees whereas before, they needed at least two years of experience outside of China before being allowed to take a job in China. According to the Administration of Foreign Experts Affairs, there were 900,000 foreigners working in mainland China last year, compared to only 10,000 in the 1980s. Zhang Jianguo, head of the administration, has said that foreign talent is an “indispensable source” of the nation’s innovation strategy. Opportunities for foreigners in many Asian countries such as South Korea and Japan are limited to only English teaching, which actually puts a road block in possible foreign talent and potential. By opening up opportunities in other industries for internationals, China has attracted people with different skills, backgrounds, and ages, unlocking the greater potential of its Expat population. At CSOFT, we take pride in our diverse, multinational people. With people hailing from over 28 nationalities, our team members do more than just meet the “job requirements”. 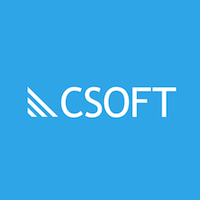 As a leading global communications and localization provider, CSOFT understands the importance of cross-cultural communication and bridging the gap between cultures and languages. With our recent 13th Annual Summit, we hosted our first-ever Start-up Competition. With 10 teams of 5 core members representing multiple nationalities, departments, and locations, the competition encouraged CSOFT’s own people to be creative, innovative, and to think outside of the box. At CSOFT, we believe there is unlocked potential in everyone, and contributions come from all corners of the world.